A good sleeping bag is an essential part of your camping gear. Depending on the weather, you will be cold and miserable if you have an inferior version. 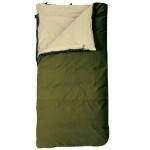 There are sleeping bags designed for general camping, backpacking, and winter conditions. They also come in various shapes and styles including rectangular, mummy, and quilted. In this list we review the best sleeping bags with temperature ratings down to 0 degrees Fahrenheit. For more information see our Sleeping Bag Buying Guide. 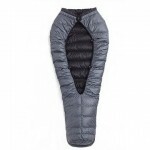 The Snowbunting EX 0 is a winter sleeping bag great for any alpine activity. It has excellent warmth and a waterproof shell. The hood is a little bit small and it is overkill for three-season use. Visit the Official Site for the Feathered Friends Snowbunting EX 0. 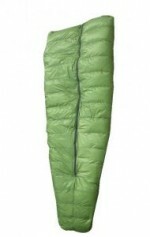 The Antelope MF is a great value for winter sleeping bags. It is cheaper than many winter models, but still very warm and light. The velcro on the neck baffle is weak. Again might be overkill for three-season or summer use. Visit the Official Site for the Western Mountaineering Antelope MF. The Palisade 30 quilt is the most comfortable and versatile quilt. We love the pad attachment system and the snug neck enclosure. While it is warm, there are other bags that have a better warmth to weight ratio. Visit the Official Site for the Katabatic Gear Palisade 30. Zpacks 20 Degree sleeping bag is ultralight and has the best warmth to weight ratio. It also is customizable with many different options you can buy for it. One downside is that the zipper can come undone. Visit the Official Site for the Zpacks 20 Degree. The Country Squire 20 Degree sleeping bag is the widest and longest bag we reviewed. It is quite warm and extremely comfortable. It comes with a removable cotton sheet which is a nice feature. However, at over 10 pounds, this thing is super heavy. Also the canvas shell material is less water resistant than other polyester or nylon. The Western Mountaineering Versalite 10 degree sleeping bag is a very warm, comfortable model made from the best down and materials. It is a bit heavier than other backpacking bags. Recommended For: Three-season backpacking and light winter use. Feathered Friends Hummingbird UL 20 sleeping bag is the best reviewed lightweight hooded bag. It is very customizable. The hood cord can come undone easily and the passive draft collar could work better. Visit the Official Site for the Feathered Friends Hummingbird UL 20. 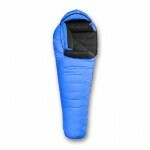 The Wenzel Grande Sleeping Bag is the warmest rectangular bag in this price range. Users on Amazon have rated it at 4.9 out of 5 stars. The flannel lining can get too hot on warm summer nights, while the zipper lets in cold air on cool nights. 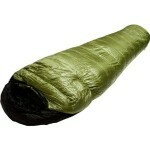 The Kelty Cosmic 20 Degree Down sleeping bag is one of the cheapest down filled bags you can find. The draft collar works well to seal in the heat and keep you warm. While rated at 20 degrees, we feel some other bags with the same rating were better. Uses 550-fill down which is not as compressible or light as higher-fill down. Recommended For: Budget cool weather three-season camping or summer backpacking. L.L. 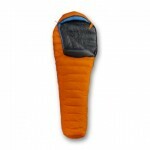 Bean Katahdin PrimaLoft Synergy sleeping bag will keep you warm for general camping in above freezing temperatures. It has better quality than most other synthetic mummy bags. Users should note that the leg room is a little bit tight on this one. Recommended For: Cool weather camping. 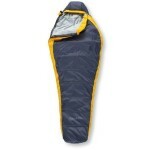 Marmot Trestles 15 Synthetic sleeping bag is a decent value for a mummy style bag. It is somewhat heavy and the synthetic material means it doesn’t insulate as well as down in cold weather. Recommended For: General Camping in above freezing temperatures. Visit the Official Site for the Marmot Trestles 15. The Wenzel Conquest rounds out our list because it is the best budget sleeping bag you can buy. If price is a serious concern for you and you won’t be outside in temperatures below about 35 degrees than this can be a good choice for you. It is surprisingly warm for its price tag and is also very comfortable. However, this one will not stand up to freezing temperatures. The sewn-though construction lets heat escape and cold air in. The type of sleeping bag you buy will be dependent on how you plan on using it. Camping: Sleeping in a tent or maybe a vehicle primarily in the summer months. For this warmth is not as much of an issue as comfort and price are. Backpacking: Used when hiking or traveling on foot. These bags need to be lightweight and compact. They also need added warmth since you will usually be more exposed to the elements. Winter: These are needed for all extreme cold weather conditions such as mountain climbing or skiing. They feature heavy duty construction and superior insulation to keep you warm in the harshest environments. Summer: These are usually the traditional bags that most people think of. They are suitable for temperatures down to about 30 degrees. Three-Season: Called three-season because they work best in spring, summer, and fall. They are ideal when temperatures reach down to about 20 degrees. They also might have additional features like hoods, zipper draft tubes, and draft collars. Winter: The most expensive styles are designed to be used in extreme temperatures from 20 degrees all the way down to 0 degrees. They usually have the added features like three-season models have, but also have better insulation and construction. The temperature rating number you see on different models is the most extreme temperature a sleeping bag can handle while still keeping you comfortable. However, users should realize that there is no universal standard for determining that rating, so be skeptical of these numbers. They provide a good starting point, but we recommend getting a model with a temperature rating at least 10 degrees lower than the lowest temperature you think you might encounter. Rectangular: Should be used for general summer camping. They have no taper in the legs and a larger top opening which are subject to heat loss, but are roomy to move around in. Mummy: Tapered legs and feet provide a smaller interior space which makes the bag more heat efficient. They also use less material so they are lighter and smaller to pack. They should be used in cold weather. Semi-Rectangular: Slightly tapered legs provide a happy compromise of mummy and rectangular shapes. Warmer than rectangular and more comfortable than mummy styles make for decent summer and three-season versions. Most sleeping bags have either synthetic or down insulation. The type and amount of insulation will determine how warm the bag will be in different weather conditions. Down insulation is the best natural insulator and has a higher warmth to weight ratio. It also has a higher compressibility, thus can be packed smaller. However, it is much more expensive and loses its insulation properties if it gets wet. Synthetic insulation’s main advantages are that it is cheaper, is non-allergenic, and provides good insulation even when wet. However, it is less compressible and has a lower warmth to weight ratio. Traditional style bags usually have a fixed-width shape with half to full-length zippers and may or may not have adjustable hoods. There are also quilt style bags with adjustable girths that offer the best performance for cold weather conditions. They don’t have hoods, zippers, or bottom insulation, which makes them have a higher warmth to weight ratio and great for backpacking. 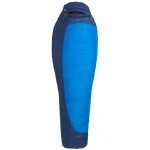 The outer shell of both are usually made of nylon or polyester. 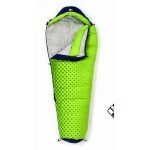 Sleeping bags with down insulation usually are made with one of three types of baffles, which are compartments for down. The first is sewn-through baffles in which the seam is stitched through both pieces of fabric. This is the cheapest way to build a bag, but also allows for heat to escape. The second is vertical baffles which run the length and usually have mesh walls that prevent the insulation from shifting. They allow for easier construction of comfortable hoods and toe boxes. The last version is horizontal baffles, or continuous horizontal baffles. They create the best warmth to weight ratio and are more versatile in cold weather because they allow you to move the down to where you need it the most. Synthetic versions sometimes use baffles and sometimes laminate the insulation to the shell fabric. Hood: Keeps your head warm. Draft Collars: Tubes of insulation inside the hood which prevent heat loss in the neck and shoulders. Draft Tubes: Strips of insulation behind the zipper to prevent heat loss from the zipper. Accessory Pockets: Pockets sewn into the bag to store small objects like a watch or flashlight. Zipper: Look for a smooth operating zipper that doesn’t snag. Some have two way zippers for better ventilation and flexibility. Footboxes: Shaped footboxes with sidewalls are built into some bags so your feet have wiggle room, but won’t produce cold spots. Pad Sleeves or Straps: Some bags have these straps on the bottom to attach to your sleeping pad so it won’t slip off.